When I started my first blog “photos | words”, I would blog pretty regularly on my daily life + lifestyle related things . Documenting fun series of my friend’s homes, throwing dinner parties just so I could decorate + photograph it, etc. But as my business grew, the hustle + drive to make it as a photographer was time consuming . My passion was to shoot as much as possible + keep shooting, growing, developing my style + my brand, so my habits for lifestyle blogging really took the back-burner . But! this will be my 5th year of owning my photography business (woah, what??) and I’m really excited to be adding new elements to it . Several of them involve me stepping into a teacher role with our Thrive Modern photography workshop, speaking at Alpine NW Workshop and at California Dreamin', and leading my own mentor sessions. I’m really humbled to be entering into such a role, but it seems like the natural next step with where I’m at in my career and I’m really pumped about it ! Another element I’m going to be brining to my brand, and what this blog post entails, is (re-) introducing lifestyle-type blog posts ! <3 I’ve blogged before about how I love to partner with businesses + post content that I think you guys would relate to and love – businesses that I already shop at and items I would buy myself, because I’m not about to share anything that I haven’t tried or don’t already love myself . I’ve also explained before in this (lengthy + emotional) blog post how I’m a woman of many passions and likes . I crave variety – in everything . I’m not sure if its because I get bored easily or that I’m truly just so curious + fascinated about so many things –- photography, business + entrepreneurship, fitness + health, fashion, interior design, architecture, hair + makeup, florals, mentoring + life coaching, graphic design, coding (lol in my dreams), pottery, magazine design -- the list goes on . and not just that I find these things interesting, but that I truly value them in my life in some way and I’d really love to learn each of them at some point in life . 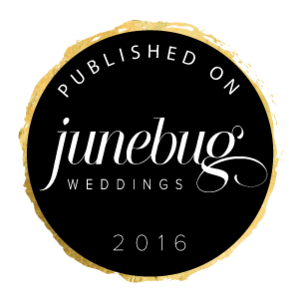 All that to say, I’m going to be blogging more than just my darling wildly in love couples . My couples will remain my top priority + my main focus . But I’m thrilled to open the door to something new . "A creative life is an amplified life" - Big Magic . - and I'm excited to stretch my creativity + branch into another outlet . I'm excited to do it here with you guys + really would love your feedback on what you're in to and answer any questions you have ! So that’s the heart + reason behind these ‘travelogue’s’ + the future posts I plan to write on travel tips, home décor + renovations (we just bought our first home last month + are finally moved in! ), fashion, and fitness related stuff! Our main purpose for traveling there was to shoot our sweet friend’s elopement in a small town located in the valley of the swiss alps . More on that wedding later! (can’t friggin wait to share). We landed in Zurich + took the train to Lucerne . Being our first day in Europe, we were really jet-lagged but knew we needed to stay awake as long as possible . So Josh + I checked into our hotel, walked along the river that runs through Lucerne, and ate some insanely good curry . I’m not sure what it was about Lucerne, but it was one of my favorite spots we visited . We had really good weather and it just had so much history + character . The streets were old + quiet and everyone moved at a slower pace . We ended up taking a little snooze around 1pm, setting our alarm for 1 hour just because we were so tired – well .. woke up at 7pm. hahah a nice snooze for sure. We went and had pizza and wine around 9pm in true euro fashion, and it all seemed like the warmest welcome to our trip. We hopped on the Golden Pass train the next morning for our trip to Lauterbrunnen. This train had the most epic views I’ve ever seen. It went through the Swiss Alps, passing small towns and lakes and valleys . We were mesmerized . 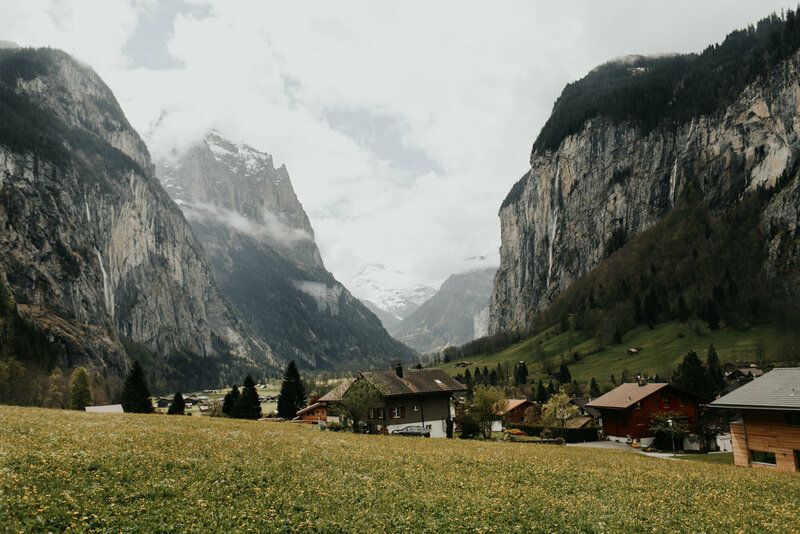 Once we arrived, we made our way up to Wengen, a tiny town that sits on the side of a very steep alp, about 10 minutes up from Lauterbrunnen . It wasn’t tourist season so many places were closed . But once we had groceries, I really didn’t mind how secluded we were . I could’ve stayed couped up at this AirBnB for weeks, easily . The AirBnB was insane & had the most breathtaking views . Waking up there each morning was really like a worship song, because who could deny there’s a Creator with such a view . We spent the next few days with our wedding people, hanging with their family, scouting for photo spots, and relaxing with our videographer friends of Ethnos Creative . So this is our Switzerland trip! It was about a 5 day trip before we headed to Venice, Italy – but I’ll save that for my next post . I’ve linked some of the things I packed below, if you’re interested! I know several of you asked me on instagram where some things were from, so hope this helps! Hope that helps! The jewelry I wear everyday + some other similar items can be found shopping the links below. Let me know what you think, friends!